American and Japanese scientists found that the production of salted fish on an industrial scale was one of the most important components of the Mayan economy. Researchers arrived at these conclusions after examining the utensils found at the site of the saltworks in Belize, a state on the east coast of Central America. Items with characteristic signs of wear indicate that the Indians used them for salt preservation of fish. According to experts, Maya’s finished products were exported to markets along the coast. 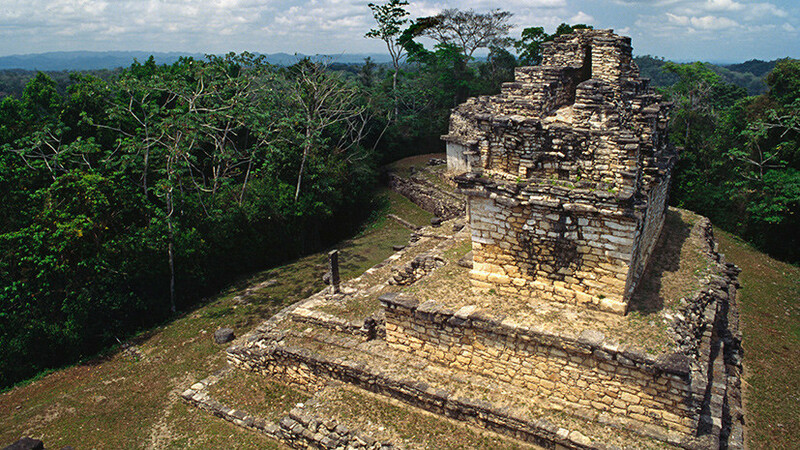 Scientists from the University of Louisiana (USA) and the University of Ibaraki (Japan) investigated the region in Belize, where the Mayan saltworks was located a thousand years ago. On a plot of 4.8 square meters. km archaeologists have discovered about 4 thousand fragments of wooden cutting tables and a lot of utensils. “The nature of the wear and tear of artifacts suggests that the Mayans used them to clean, butcher, and pickle fish,” said the main author of the study, Heather McKillop. According to scientists, representatives of the ancient civilization boiled salt solution in boilers, then left it to cool until salt lumps were formed, suitable for preservation of fish. Mayan finished products were placed in a canoe and exported to local markets. The authors of the study noted that 300-900 BC. Maya could sail by boat along the coast or along the river into the continent for about 25 km to make a deal. “Our discovery suggests that the Maya produced salted fish and exported it within Belize,” McKillop said. Also at the site of the former saltworks, researchers found a clay ocarina (whistle flute) in the form of a humanoid creature. Scientists have suggested that the Maya used it for religious ceremonies associated with salting fish. The authors of the study concluded that salt was an important product in the Mayan civilization “both by itself” and as a preservative for fish, the trade of which was one of the key components of the economy of the ancient Indians. Next story In the depths of the ocean discovered an amazing volcanic world.